More than 150 seniors gathered together in Greenwich Friday afternoon to celebrate each other and their age. Before individuals were recognized, the entire room was read a declaration of May 2013 as Older American Month signed by the Washington County Board of Supervisors. 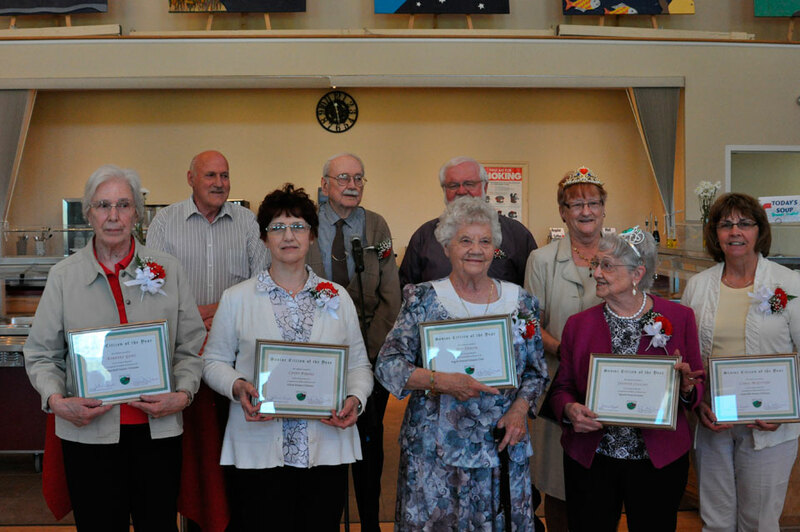 Then, Cantanucci-Mitchell and John Rymph, Chair of the Washington County Board of Supervisors, presented awards to each local senior group’s winner. Each club had to vote on their winner, and Granville chose their president, Carol McGivern. “We chose her because of her interest in the club, because she works with the craft group, because she is a community server and a very big supporter in the club itself, and she is popular with the members,” said fellow club member Helen Macura. McGivern said she wasn’t expecting to be nominated. “I was very, very honored. I’ve only been with them for four years. I love being with them—they’re such a nice bunch of people, all of them. I want to thank all my fellow seniors for all their support,” she said. The Hartford club chose Earl Morrow for an award, and Whitehall chose Barbara Gebo. “I guess it was my turn, and you just have to go with it,” Gebo said. 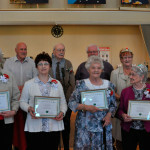 “I like being in the group, planning and being active.” Other seniors who received awards were Dot Taylor, of Argyle, Phyllis Pearson, of Cambridge, Jaunita Collins, of the Queen Anne group, Larry Wilbur, of Greenwich, Sandra Cowles, of Hudson Falls/Fort Edward, Katherine Gosslink, of Putnam, and Cathy Byrnes of Salem. After the awards, a Revolutionary War re-enactor came in fully costumed and with a French musket and talked about his experiences in area battles. Then, it was time for buffet lunch. Once everyone had their fill, the afternoon’s second speaker, gardening expert Peter Bowden, gave a talk about how to properly plant a shrub and getting to know one’s property. A number of interested hands shot up when he was finished to ask for advice and tips on their own planting. Bowden helped Ann Waite, president of the Council of Senior Citizens of Washington County, pull a 50/50 raffle ticket, and Granville’s Richard Williams was the happy recipient of $200.50. Everyone headed home thereafter, and many commented on the beautiful accommodations, beautiful weather and good company.